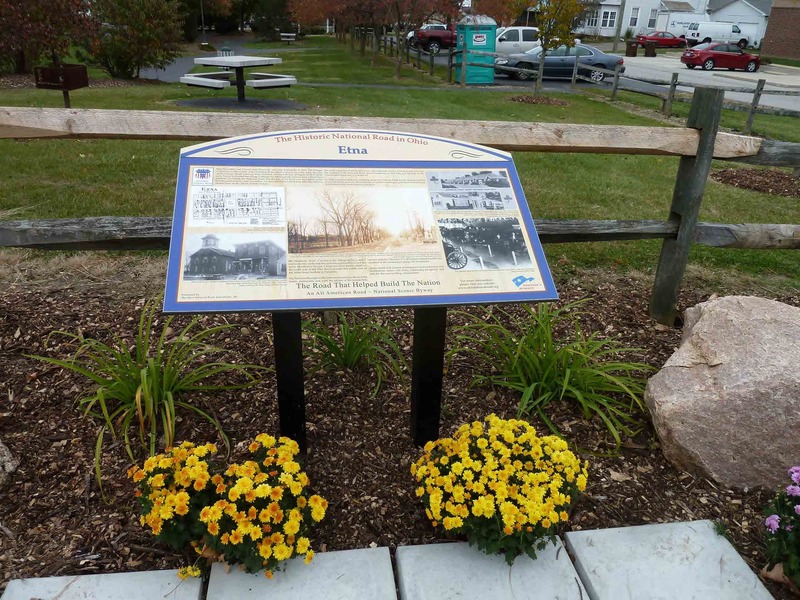 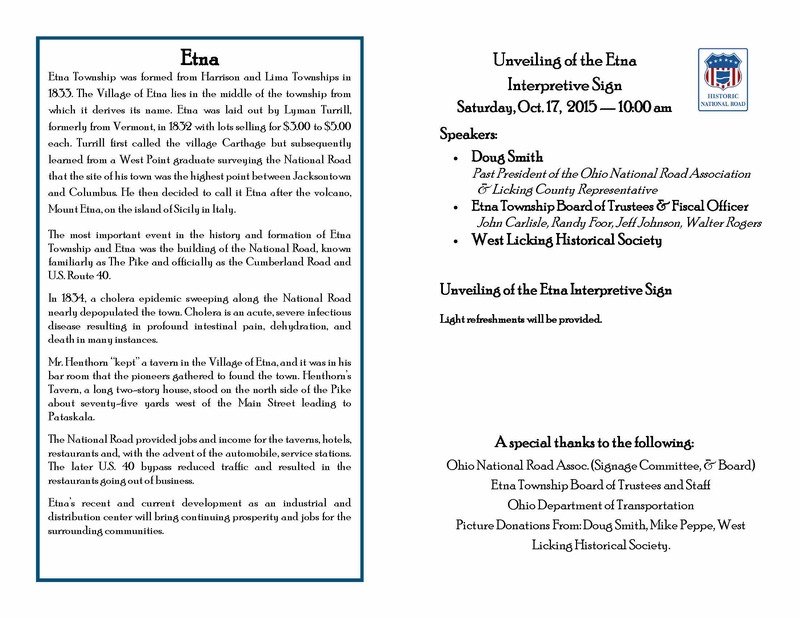 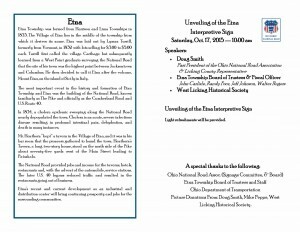 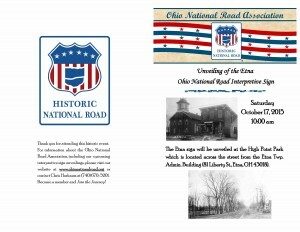 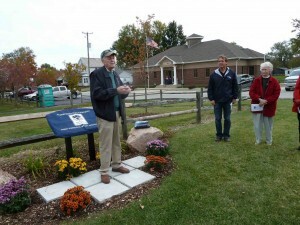 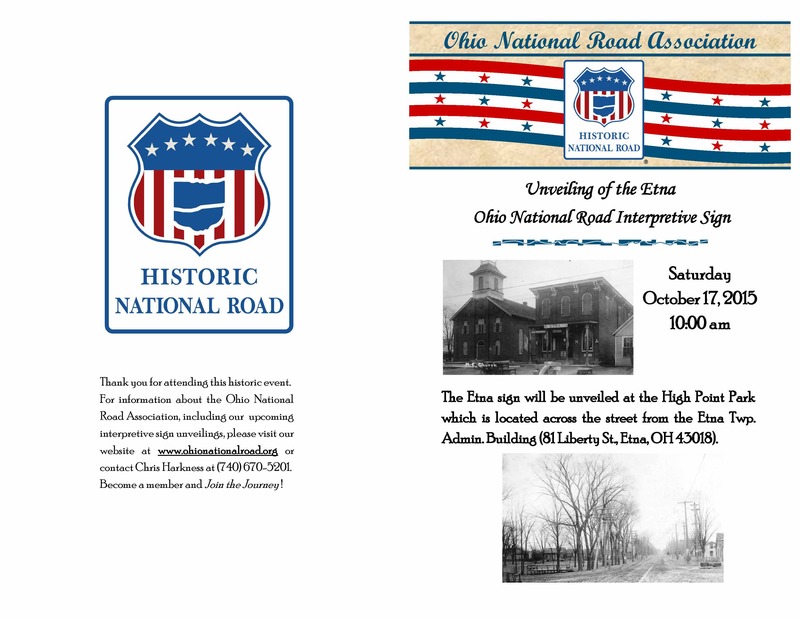 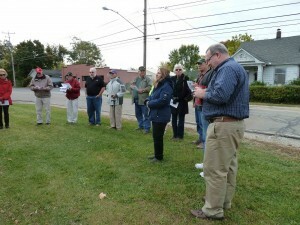 The Etna Interpretive Sign was dedicated on October 17, 2015 at High Point Park in Etna. 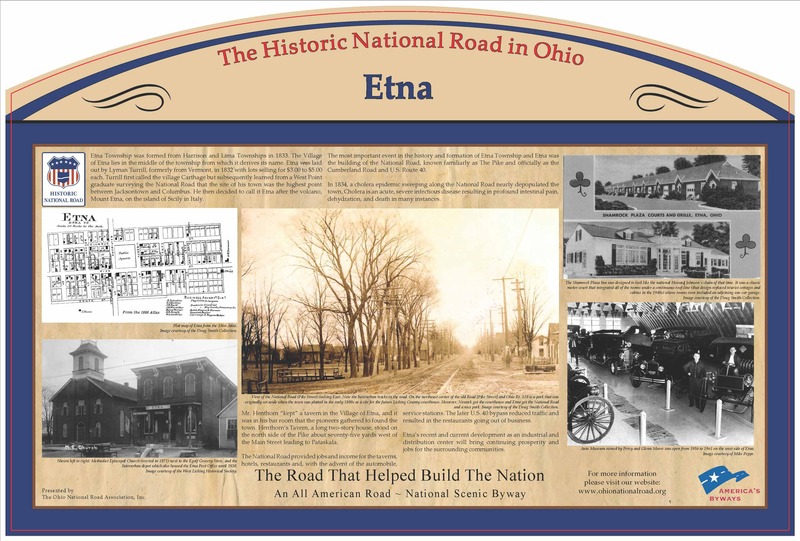 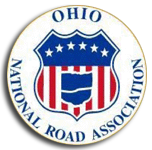 Shown below unveiling the sign are members of the Ohio National Road Association (Doug Smith-Speaking, Elizabeth Reeb-Vice-President; Cathy Nelson) along with Etna Township Trustee John Carlisle (Speaking), Etna Township Trustee Jeff Johnson, and Etna Township Fiscal Officer Walter Rogers. 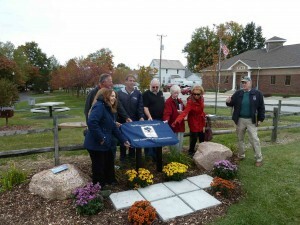 In addition West Licking Historical Society President Martha Tykodi is also pictured with the sign unveiling.